As you have probably noticed, in this June issue of Inside ATLAS.ti we inaugurate a new Newsletter format, fully online. We hope this format will facilitate reading and sharing our newsletter among your colleagues. In this issue, we share with you some interesting news about ATLAS.ti, including a video on the latest function implemented on ATLAS.ti Mac. Other news items refer to the different events that we have sponsored in May and a few resources you may find useful. In our Best Practices section, we put at your disposal an article titled CAQDAS and The New Data Challenge, in which Susanne Friese and Ricardo Contreras discuss the ways in which ATLAS.ti meets the challenges imposed on qualitative researchers by new types of data that become available through online and other channels. In our Case Studies section, we interview Dr. Maria del Pilar Rodriguez, from the Universidad Nacional de Colombia Sede Manizales, who gives us an overview of a study in management in which she used ATLAS.ti. A new update was released in May. This update brings ATLAS.ti Mac to version 1.0.48. Three important new functions have been added to the program. Now, you can visualize your code system in a hierarchical structure, using both the Code Tree and the Code Forest. 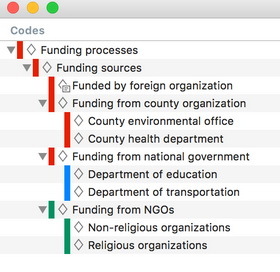 The Code Tree allows you to look at the hierarchy of a single selected code while the Code Forest allows you to see all codes with their hierarchies. Importantly, through these tools, it is now possible to code from a hierarchical structure by simply dragging and dropping. These two new tools are described in this video tutorial (watch here). This new update also brings the option to visualize hierarchically all objects of the project. This gives a very good synopsis of the entire project, which is useful whenever you find yourself lost in the ‘sea’ of your analysis. The hierarchical view of all objects is found under Tools > Object Explorer. We have released a new update for ATLAS.ti 7 Windows (7.5.12). With this update, there is now a new way of producing outputs for code families. 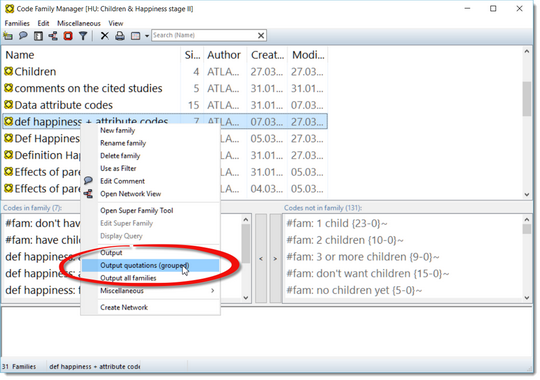 The procedure is called Outputs quotations (grouped) and it is found when right-clicking on a code family in the Code Family Manager. In this new output, which is produced in Rich Text Format (RTF), the quotations are listed according to the codes that belong to a code family. By implementing this new output, we are meeting the needs of researchers who had expressed to us the desire to have such output option. You may watch here a video tutorial on this procedure, created by Susanne Friese. A new video tutorial, introducing ATLAS.ti Mac has been published. In two hours, this video presents a detailed overview of the program, focusing on its fundamental tools and procedures. 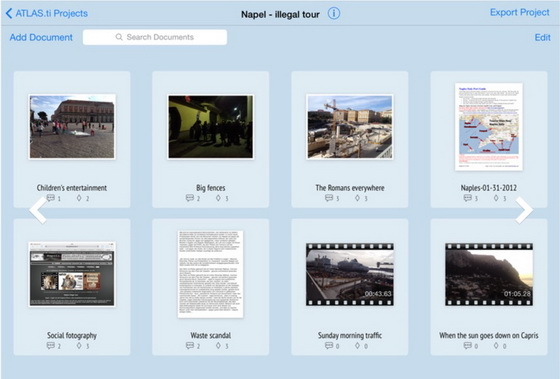 Examining an existing project, the video starts by showing the key objects in ATLAS.ti Mac: the documents, quotations, codes, memos and networks. Following, the video takes the viewer in a voyage through a typical analysis process, from creating the project and managing the data, to segmentation, coding, writing, diagramming, analysis, and outputs. We also provide recommendations on the importance of taking an integrated approach to data analysis with the software, avoiding over-emphasizing coding in detriment of other procedures such as writing and visualizing relationships in the form of networks. The video finalizes with an overview of the different learning resources available on the ATLAS.ti website. To watch this video tutorial, please click here (notice the interactive table of contents by clicking on ‘Show More’, below the video). We would like to announce that Mrs. Eve Weiss has been designated account manager for ATLAS.ti resellers worldwide. Any questions that resellers may have, do not hesitate to contact her at [email protected] or call 1-541-201-2226 (international) or 1-886-880-0231 (toll free USA and Canada). Additionally, resellers from Spanish and Portuguese speaking countries may contact Mr. Luis Alfredo Loaiza, our manager in Latin America. Luis Alfredo, who is based in Buenos Aires, Argentina, can be reached at [email protected], and at the following local phone numbers: Argentina: + 54 (11) 5218-8168; Colombia: + 57 (2) 891-2402; México: + 52 (55) 8526-4248; Brazil: + 55 (11) 4349-6135; Chile: + 56 (22) 581-4442; and Perú: +51 (1) 641-9258. We look forward to continuing our close collaboration with you! We are offering in July our first free demo webinar on the iPad ATLAS.ti Mobile application. Dr. Steve Wright, our consulting partner from the University of Lancaster, UK, and expert in the use of ATLAS.ti Mobile, will explore approaches to using the free ATLAS.ti iPad app as a powerful portable, mobile and versatile tool for beginning analysis. The opportunities for using the app to read, annotate and code research literature will be explored in depth, as well as other approaches for beginning analysis. Approaches to importing and integrating these into a project on your computer through import and mega routines will then be covered. This webinar has been scheduled for July 20th at 19:30 London time/18:30 Berlin time/11:30 Los Angeles Time/13:30 New York time. To register, click here. We invite you to join us in the webinars scheduled for June, July and August, as part of the webinar series on qualitative methodology co-sponsored by ATLAS.ti and the International Institute for Qualitative Methodology (IIQM). On June 16th at 5:00 pm EDT, Sheree Bekker will present Improving Your Academic Connectivity Via Social Media and Blogging . In this presentation, Sheree will give advice on how to gain the fullest value from academic connectivity for, in, and through social media and blogs. On July 14th at 12:00 pm EDT, Linda Liebenberg will present Photovoice as More than Just an Arts and Crafts Project: Rigorous Approaches to Thematic Analysis and Dissemination . In this presentation, Dr. Lienbenberg will discuss aspects related to rigorous analysis and dissemination of photovoice data. Finally, on August 18th at 3:00 pm EDT David L. Morgan will present Focus Groups: Planning for Success . Dr. Morgan is the author of the book Focus Groups as Qualitative Research, published by Sage. To register in these and other webinars of this series, visit our website (select "Qualitative Methodololgy Webinars"). Dr. Susanne Friese will be teaching an online course for advanced users on June 15, 16 and 17. In this course, Dr. Friese will share with participants her own approaches to doing qualitative data analysis with ATLAS.ti. These approaches are also explained in her book Qualitative Data Analysis with ATLAS.ti. Among other things, she will discuss a topic of great importance: how should we build an efficient coding system so that we can clearly identify the themes that emerge from the data. The course is titled ATLAS.ti for Advanced User: Building an efficient coding system and beyond. To learn more about it, click here. To book it, go to the ATLAS.ti Training Center website here. We are now offering free webinars, in English and Spanish, on how to use ATLAS.ti for literature review. To register for these webinars select ‘Special Topics’ on the free webinars website page. Given the success of these webinars, we are now going to offer online (synchronous) courses on the subject in the Spanish language. To see the calendar of courses and to register, please click here. Did you ever wonder what is behind the ATLAS.ti network function? Subscribe to the ATLAS.ti Video Blog. You will not regret it! ATLAS.ti is the Platinum sponsor of the International Institute for Qualitative Methodology (IIQM) conference events. ATLAS.ti is the Platinum sponsor of the International Institute for Qualitative Methodology (IIQM) 2016 conferences and workshops. 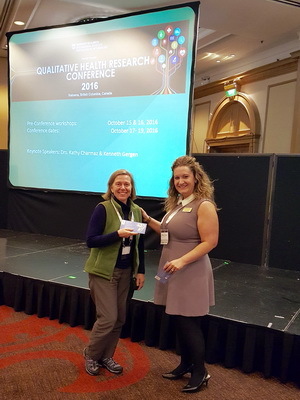 This year, IIQM is having its Qualitative Health Research (QHR) Conference in Kelowna (British Columbia, Canada); the Qualitative Methods (QM) conference in Glasgow, UK; the Thinking Qualitatively (TQ) Workshop in Edmonton, Canada; and the TQ2U Workshop Series in Sidney, Perth and Brisbane, Australia. Aly Bailey. Aly is a PhD candidate from Brock University, Canada. In her research, she explores positive body image in a diversity of populations, including people with physical disability and older adults. For her dissertation, she is developing and evaluating a positive body image program that may be adapted by organizations to help promote positive body image in individuals including those with chronic disease, disability, or age-related health complications. David Blane. 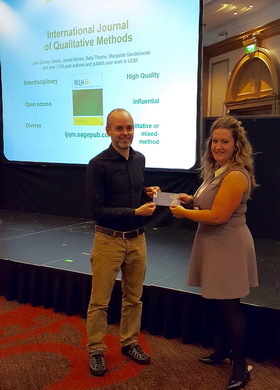 David is an academic general practitioner from the University of Glasgow; He is in the final year of a CSO-funded PhD Fellowship at the University of Glasgow, titled "Understanding the role of primary care in adult weight management: a mixed methods programme". He is involved in the "GPs at the Deep End" project (www.gla.ac.uk/deepend ). Practitioners with the Deep End project work in general practices serving the 100 most deprived populations in Scotland. David also teaches on health inequalities and social determinants of health at undergraduate and postgraduate level. VJ Gibbons. VJ is a PhD candidate in Nursing from the University of Alberta. His clinical background is in pediatric medical/surgical, intensive care, cardiology and cardiac care. He has also worked in bone marrow transplant units, post anaesthetic care units, and emergency rooms, always with children and families. VJ has been on multiple overseas missions providing nursing care to children and families in El Salvador, China, Russia and Haiti following the earthquake in 2010. (Click here to read more about VJ). 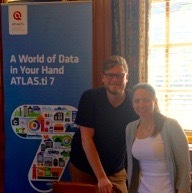 ATLAS.ti sponsored and exhibited at this year’s International Congress of Qualitative Inquiry (ICQI), which took place on May 18-21 at the University of Illinois Urbana Champaign. We would like to thank University of Illinois Urbana Champaign sociology graduate students Ashley Feely, Jacob Astin (in photo) and Cameron Riopelle for staffing our exhibit at the ICQI conference. They greeted conference attendees providing information about our program, distributing discount vouchers and collecting contacts for our raffle. We would also like to congratulate our two lucky raffle winners: Dr. Alejandro Noboa and Rowena Kalloo. Dr. Alejandro Noboa, is a professor in the Department of Social Sciences at the Universidad de la Republica del Uruguay, where he coordinates a research group on citizen participation and decentralization and teaches research methodology courses. Rowena is a lecturer in Science Education at the School of Education, St. Augustine campus, University of West Indies, Trinidad. She studies the impact of games-based learning on elementary students' motivation and achievement in science, and the incorporation if indigenous local knowledge in the science curriculum in elementary school, among other topics. Best wishes to both of them in their research. The Digital Tools Special Interest Group (DTQR) at ICQI, chaired by Kristi Jackson (QUERI) and co-chaired by Trena Paulus (University of Georgia) and Judy Davidson (University of Massachusetts-Lowell), coordinated eight panels with a total of 35 papers this year on a variety of topics such as the use of QDA software for facilitating complex teamwork, teaching qualitative inquiry online, and exploring gender and identity in digital spaces. 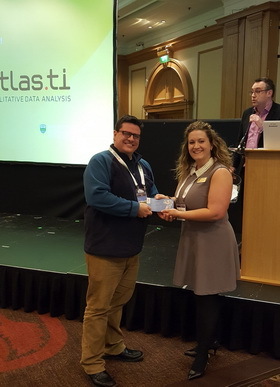 ATLAS.ti was one of the sponsors of this year’s event, contributing a license to the raffle which was won by Denise St. Clair of Westat. Approximately 100 conference participants attended the digital tools sessions over the two days. The opening plenary included presentations by Kakali Bhattarachya (Kansas State University) on virtual ethnography, Harriett Green (University of Illinois) on the digital humanities, Christina Silver (QDA Services) on Five-Level QDA and Kristi Jackson (QUERI) on new discourses for digital tools. To learn more about DTQR, follow them on Twitter @Digital_Qual, Facebook at DigitalToolsforQualitativeResearch or on the web. 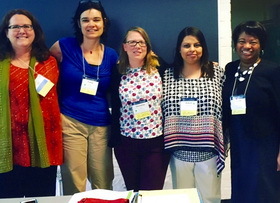 (In the photograph, from left to right, Kristi Jackson, Trena Paulus (discussant), Christina Silver, Kakali Bhattarachya and Harriett Green at the opening plenary session). The 12th Berliner Methodentreffen Qualitative Forschung will take place in Berlin between July 22-23, 2016. With around 500 presenters, this event is the biggest qualitative research conference in the German speaking world. The conference includes paper presentations, workshops and poster sessions in different topics related to qualitative methodology. As it has been a tradition, ATLAS.ti is one of the event sponsors and exhibitors. This year, we will showcase our desktop and mobile applications and will preview ATLAS.ti 8 Windows. To register and submit a workshop/paper proposal complete this form. If you are in Berlin this summer, we hope to see you at this important event. The preliminary conference program for the KWALON Conference 2016, to be held at Erasmus University, Rotterdam, the Netherlands 25 and 26 August, is now available. The conference theme is Reflecting on the future of QDA Software: Chances and Challenges for Humanities, Social Sciences and Beyond. Developers and users of software have been invited reflect on the developments of the past years and to take them as a starting point for a discussion of the requirements for the future versions of QDA tools. For more information, visit the conference website here. 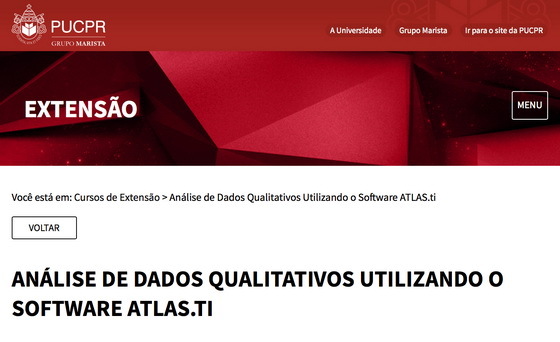 The Pontificia Universidade Católica do Paraná, in Curitiba, Brazil, will be offering a two-day workshop of ATLAS,ti on August 1 and 2, 2016. In this introductory workshop, participants will learn the fundamentals of ATLAS.ti 7 Windows. The organizer is Dr. Dilmeire Sant Anna Ramos Vosgerau and the instructor is Dr. Ricardo B. Contreras. For more information and to register, click here. The Odum Institute at the University of North Carolina Chapel Hill, USA.The Odum Institute provides a wide range of services on methodology to the UNC Chapel Hill community as well as to researchers who are not members of the university. This year, the Institute offers to the general public a hands-on course focusing on how to best use the tools in ATLAS.ti 7 to make sense of your qualitative data, including interviews, focus groups, survey responses, and documents. Coding and memo writing are presented as simultaneous tasks that occur during an ongoing, active review of data. In addition to presenting features in ATLAS.ti, the course instructor also discusses deductive and inductive coding and the process of codebook evolution, that is, how codes emerge and perhaps change as you move deeper into analysis. Memos are presented as notes aimed to capture reactions while reviewing data as well as more involved reflections that resemble early writing for reports, articles, and dissertation chapters. This course is taught by Mr. Paul Mihas. For more information, contact Paul directly. The CAQDAS Networking Project at the University of Surrey, UK.The CAQDAS Networking Project offers introductory and advanced workshops in ATLAS.ti in Surrey, UK. The Introductory Course for New Users is offered in two-day sessions. The course provides comprehensive training in the principles of ATLAS.ti, hands-on experience in using its tools and discussion about efficient and effective ways of harnessing the software for different types of project. The first day provides an overview using sample data, with guided instruction from the course facilitator, Duncan Branley. On day two, participants put their learning into practice using their own project data, which may be literature, transcripts, field notes and/or visual data. Participants gain individual support from the tutor. 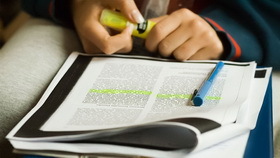 The course is accompanied by various printed and online support materials. The Advanced Support Workshop for Existing ATLAS.ti Users, is a one-day course designed for researchers who have been using ATLAS.ti for some time and need targeted support in moving their analysis on and in using ATLAS.ti tools in more sophisticated ways. Participants fill out a pre-course questionnaire detailing their needs, which the course facilitator, Christina Silver, uses to plan the course appropriately to the needs of those attending. The focus is on ensuring that the use of software tools is driven by the needs of specific analytic tasks. There is ample time for questions, discussion and individual support. The course is accompanied by various printed and online support materials. For more information about these course, contact Dr. Christina Silver. Evers Research & Training offers two-day workshops in ATLAS.ti for novice users and for advanced users. Both courses are offered for individual participants or in-company. 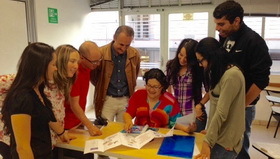 The workshops are intensive in a small group of ten participants. In the novice workshop, an overview of all tools in the software is given, and we will practice hands-on with most of them. This workshop will enable you to start working on your own data immediately afterwards. The advanced course is tailored to questions from participants based on their work thus far, and aims to help them furthering their analysis within ATLAS.ti. Based on their questions, several strategies for use of the software and analysis of their data are discussed. In the courses additional training material is provided. Trainers are Jeanine Evers and Susanne Friese, both with more than 15 years of experience with the software and qualitative analysis in general. The aim of this paper is to provide an overview of the "state-of-the-art" of QDA or CAQDAS software. As the range and number of packages have increased over the years, I needed to make a decision about how I wanted to approach it. As the recent hype on "big" and social media data has also passed its mark on the type of functionality we see emerge in CAQDAS packages, and with this the need for different types of analysis tools, I decided to use Kahnemann’s ideas about slow and fast thinking as a framework (Kahnemann, 2011). Slow thinking in the context of CAQDAS is related to researcher driven analysis and fast thinking to tool- and data driven analysis. The paper is divided into two parts. In the first part I describe trends and new developments and in the second part I offer a critical appraisal. I assume a reader that is familiar with the basic functionalities of at least one of the CAQDAS packages." Our Group On-demand Webinar Series has been highly successful. So far this year, we have received requests from universities, consulting companies and corporations, non-for-profit organizations doing interesting research for the common good, and governmental organizations from a variety of countries in the Americas, Europe, Africa, Australia and the Middle East. This has kept our training staff busy but enthusiastic at the same time. In 60 or 90-minute presentations, our staff gives an overview of ATLAS.ti, always tailored to the specific needs of the requester. 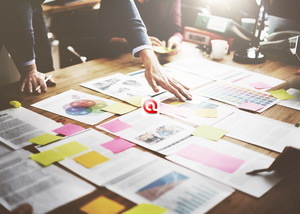 Although the majority of the presentations are general overviews, we have also focused the webinars on teamwork, analysis of multimedia documents, analysis of photographs, and use of the software in program evaluation and in marketing research. 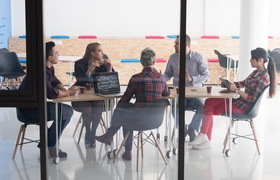 As an example, the photograph above shows a group from from Human and Organizational Development at Fielding Graduate University (United States), participating on one of our on-demand webinars. The only requirement for these webinars is that they are requested by groups of three of more people evaluating the software for an institution or for professors introducing it to their students. To request a webinar taught in English, please complete this form, and to request to be taught in Spanish, complete this form. On April 25th, Dr. Hafidha Sulaiman Al-Barashdi, from the Ministry of Education in Oman, taught an introductory course to ATLAS.ti 7 to a group of post-graduate students and faculty members from Sultan Qaboos University, Oman. Dr. Al-Barashdi has been using ATLAS.ti for a few years already, having employed it in the analysis of her dissertation data in the field of information studies. Dr. Al-Barashdi studies the very interesting topic of smartphone addiction. An article on her research will be published this year in the International Journal of Psychology & Behavior Analysis. An ATLAS.ti license was raffled at the workshop and the winner was Asma Al Brashdi, a fourth-year medical student at Sultan Qaboos University. She is studying perceptions and attitudes of anatomy teachers and medical students towards human anatomy teaching and learning at the Sultan Qaboos University (SQU) College of Medicine. Congratulations Asma and best wishes in your studies! Susanne Friese’s book Qualitative Data Analysis with ATLAS.ti (ATLAS.ti for Windows) already in its second edition, comes with a very attractive and useful companion website. To access the website, you do not have to own a copy of the book. There, you will find resources for instructors and for students. These include links to online readings, exercises, presentations, sample data sets that you can use in your own learning, video tutorials, a glossary of terms used in ATLAS.ti, and resources for each chapter. This website complements well with the ATLAS.ti in the Classroom site. All of these are part of an increasing number of learning resources that are becoming available to users everywhere. A new edition of the book / companion website will become available next year featuring ATLAS.ti for Windows 8 and the Mac version. You may access Friese’s book companion website here. ATLAS.ti certifies the knowledge and experience of students and professionals who want to provide training services in ATLAS.ti. The Certified ATLAS.ti Student Trainer program (CAST) provides certification to those students who are using the software in their theses and dissertation projects, so they can introduce their peers to the basics of the program. Our Certified Professional Trainer program (CAPT) provides certification to those seasoned academics and researchers who are using ATLAS.ti in their research projects and can demonstrate a high level of expertise in the use of the software. Every successful participant will receive a free ATLAS.ti license. As a certified instructor, you will be part of the international network of ATLAS.ti trainers and consultants. As such, you will have access to exclusive train-the-trainer resources. Professional trainers can list their contact information in our Consultants list on the ATLAS.ti website. Also, professional certified trainers can list their face-to-face courses on the Premium Training website page. ATLAS.ti offers a variety of resources that facilitate the learning of the software. These include a complete library of video tutorials, weekly webinars, workshops, as well as a set of manuals and how-to documents. All our learning resources can be accessed here. For more information, please contact us. 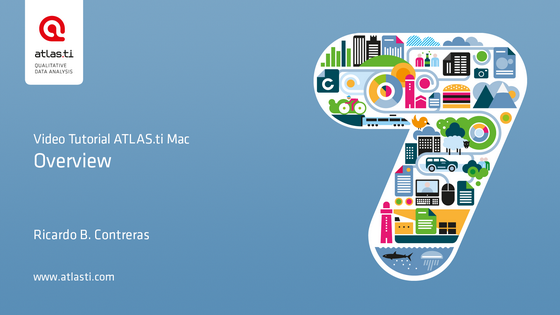 We offer free overview webinars in ATLAS.ti 7 Windows and Mac, in English and Spanish. They are offered at different times, making them convenient to people anywhere. To register for the webinar of your choice, please click here. This time, we want to highlight the face-to-face workshops scheduled for June and July 2016. June 15th, 16th and 17th. Qualitative Analysis with ATLAS.ti 7 Windows, Corvallis, Oregon. Click here. June 29th, 30th and July 1st. Qualitative Analysis with ATLAS.ti Mac-Small Group. Corvallis, Oregon. Click here. June 18th. Introduction to Qualitative Data Analysis with ATLAS.ti 7 Windows. Edmonton, Alberta. Click here. ATLAS.ti 7 Windows: Tools for Qualitative Analysis. Ciudad de México, México. Click here. June 22nd and 23rd. ATLAS.ti Training Workshop (2-day). Surrey, UK. Click here. June 24th. ATLAS.ti Training Workshop (1-day). Surrey, UK. Click here. June 24th. ATLAS.ti 7 Windows Advanced. Madrid, Spain. [Spanish]. Click here. July 7th and 8th. ATLAS.ti for Starters. Rotterdam, Netherlands. Click here. In this issue of Inside ATLAS.ti, Susanne Friese and Ricardo Contreras discuss the challenges imposed upon CAQDAS (computer-assisted qualitative data analysis software) by the new kinds of data that have been introduced into research practices in the times of social media. The authors discuss the implications for computer-assisted qualitative data analysis of having large quantities of data available for analysis. How can these kinds of software handle those data? How is ATLAS.ti adapting to these new types of data? These are and other questions are discussed in this article. In this issue of Inside ATLAS.ti we interview Dr. Maria del Pilar Rodriguez, professor of management at the Universidad Nacional de Colombia, Sede Manizales. Dr. Rodriguez explains a project in the topic of ethical management in which she used ATLAS.ti. Tell us a little bit about you. I am an industrial engineer, with a specialization management, with a doctoral degree is in philosophy. I am a professor of Industrial Engineering at the Universidad Nacional de Colombia, the largest university in the country. I also direct the research group Ethos. My research interests are in area of organizational ethics and an in particular on culture and organizational and management ethics. To update your preferences and contact data, to subscribe, or to unsubscribe from our newsletter, use the link below. - Also, you can easily recommend INSIDE ATLAS.ti to friends and colleagues from this page.